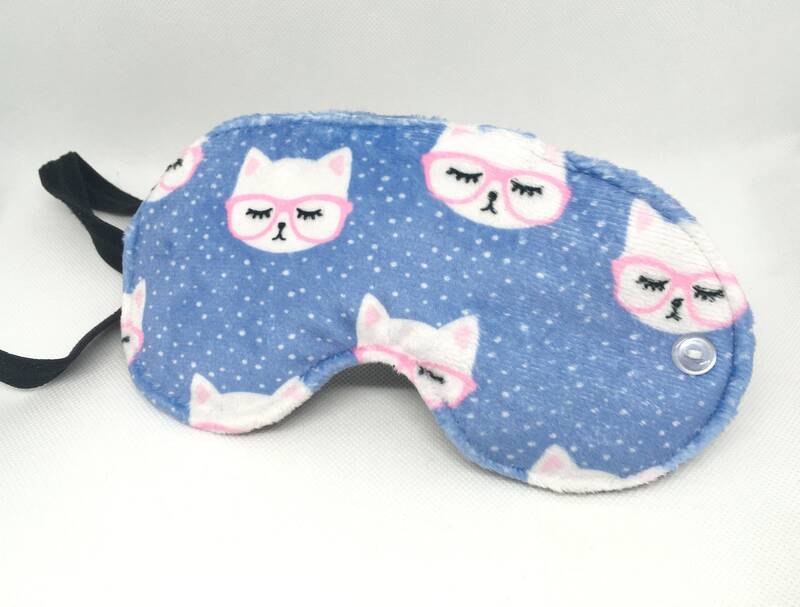 Oh so cute sleeping kitty printed minky fabric by Jessica Prout, Little Arrow Design Co. makes up the outer fabric of this light blocking sleep mask with a soft black flannel on the face side. 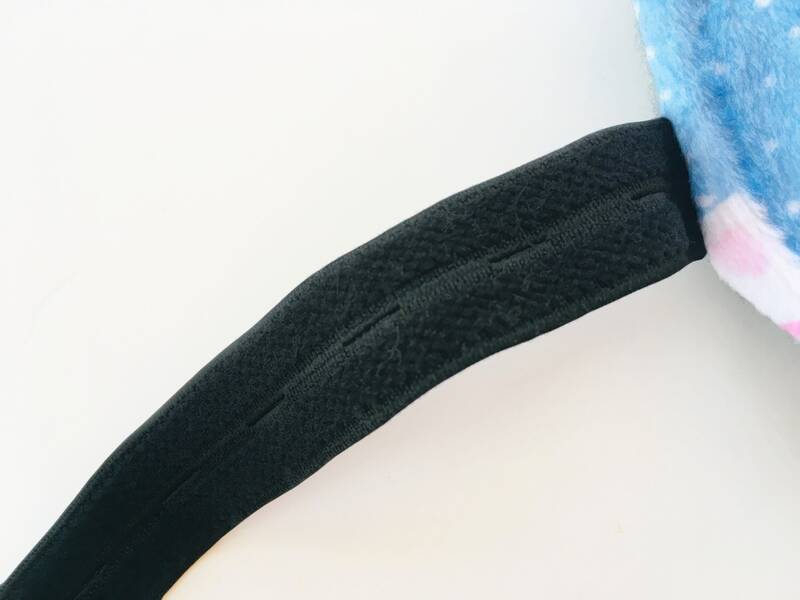 A couple of layers of batting between outer and face side fabrics adds a fluffy cushion and an adjustable, soft non-snagging buttonhole elastic allows you to adjust the tension on your face. Elastic attaches to a button. Mask measures approximately 8 inches wide by 4 inches high. Materials have been pre-washed. 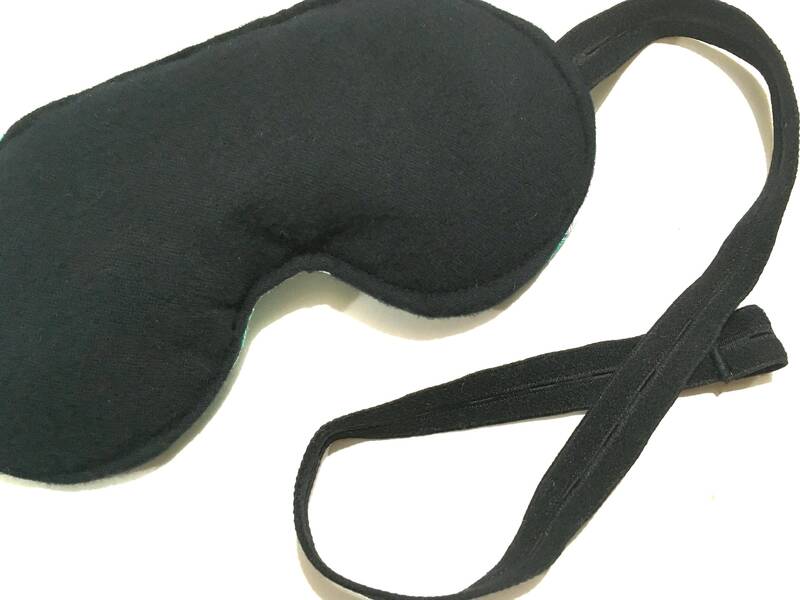 Mask comes packaged and ready for gifting to yourself or someone special! Perfect gift under $15 for slumber parties, cat lovers, you name it!